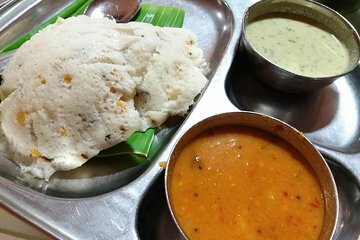 Discover the delicious vegetarian cuisine of Basavanagudi with this 3-hour walking tour. Visit several different restaurants to sample delicacies like idlis, vadas dosas, palya, chutney, sambhar, and more. Learn about the ingredients that make up these recipes and the history behind vegetarian cuisine in South India. Stop to buy souvenirs at a local market as you make your way through the city.